The Martyr Ciyager and Martyr Zeryan Vengeance Teams assumed responsibility for the downing of the helicopter in Istanbul’s Cekmekoy on February 11. The Vengeance Teams stressed that the action was done against the isolation imposed upon Ocalan. A group who call themselves “Martyr Ciyager and Martyr Zeryan Vengeance Teams” announced that their units downed the helicopter that crashed in the Cekmekoy Kirazli neighborhood of Istanbul on February 11. 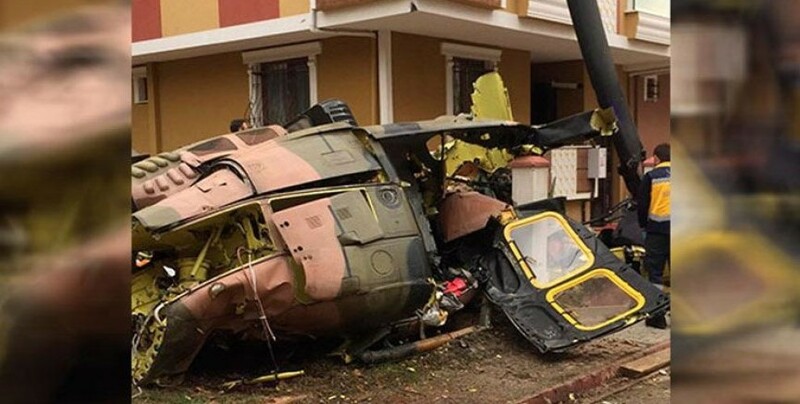 Turkish state authorities claimed that the helicopter had crashed in an accident and announced that the Pilot Captain Umit Ozer, Captain Semih Ozcan, Officer Sergeant Major Ilyas kaya and Officer Staff Sergeant Yakup Avsar had died in the crash. “Shops and businesses of 11 AKP members have been set on fire. The shops have suffered damages. BIM supermarkets were set on fire in 3 neighborhoods. The markets have suffered damages.